For those of you who are a little camera-shy, posing for photo shoots probably isn’t your favorite pastime in the world. Nonetheless, whether you love or hate having your picture taken, it’s very important that you have a good press photo you can use for your band or your solo act. What makes a press photo “good,” though? And, just as importantly, what makes a press photo bad? Technical quality. Before we touch on aesthetics, let’s look at the physical, technical specs of the photo itself. It should be high resolution, meaning at least 300 dpi (dots per inch). It should also be in color, and the cropping needs to capture the most important parts of the image. Don’t cut out anything important, like faces or tops of heads. Aesthetic quality. 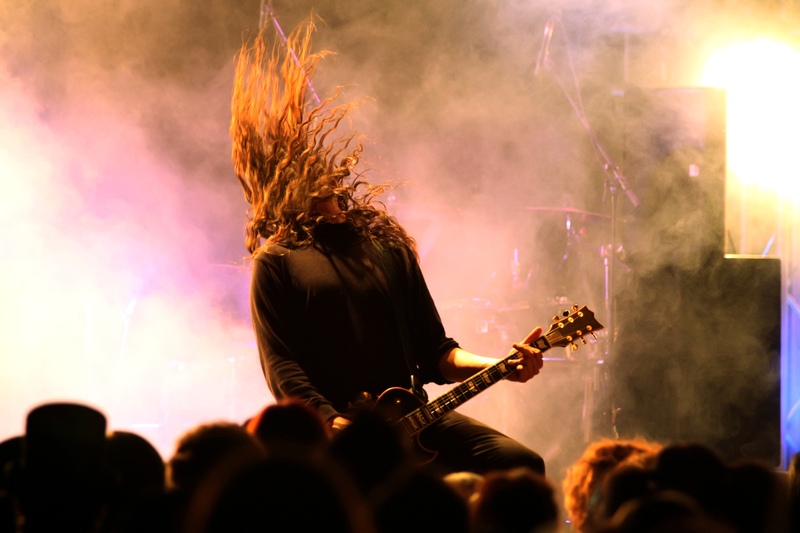 This doesn’t mean you need to be airbrushed and Photoshopped; it simply means that the photo should capture the spirit and persona of your band or solo act. As the saying goes, “a photo is worth a thousand words,” and you’re trying to tell your story. Good composition and lighting are musts — this isn’t a cell phone snapshot. Keep it simple. Just like some features make a photo good, other features can make a photo bad. Generally speaking, crazy filters and effects are a bad idea. Imagine submitting a job resume that’s been decorated with glitter and silly fonts, and you get the idea. You wouldn’t buy an instrument, hire a publicist, or a rent a recording studio on a whim — you’d take the time and effort to put in research first. The same thing applies to your press photographer. Of course, it isn’t just a photographer’s style you’ll be looking at — it’s also his or her pricing. Money can be tight when you’re at the beginning stages of your career, but try and resist the temptation to skimp out on bare-minimum rates. Otherwise, you might get stuck with bare-minimum quality, too. Remember, your press photo is the face that everyone in the industry is going to see — you need to make these images count.